THE CALL is out for 1,000 ‘heroes’ to swish their capes and join the 10th annual Woking & Sam Beare Hospice Midnight Walk on Friday 19 May. The women-only event, sponsored by Trident Honda, aims to recruit 1,000 walkers topping last year’s tally of more than 900 who raised more than £120,000 for the charity. The Walk starts at Woking Leisure Centre at 10pm to follow an eight-mile route back to the centre, with refreshments halfway at the new hospice site. Freedom Leisure, which operates Woking Leisure Centre, is providing the venue as well as training support for participants. 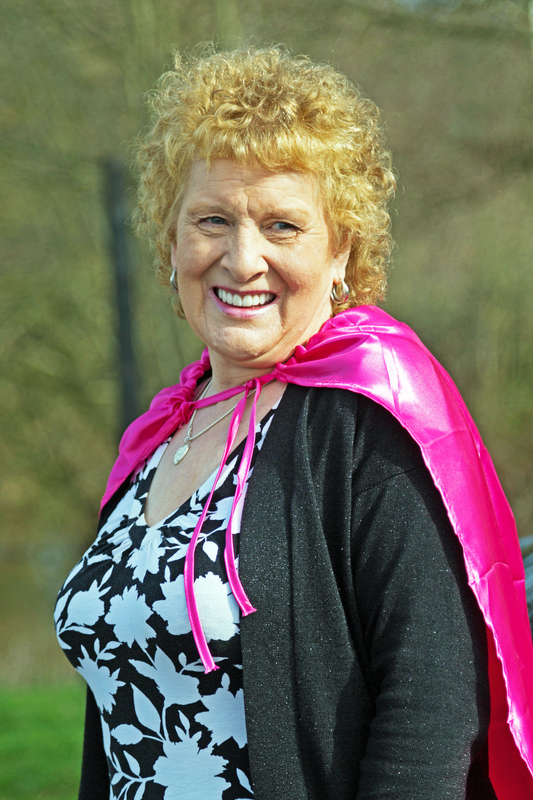 Walkers can buy a bright pink ‘hero’ cape through Woking & Sam Beare Hospice which they can customise at home or at a ‘pimp my cape’ stall at the beginning of the walk, to wear with a free event T-shirt. The now-traditional bunny ears will also be on sale at the event. 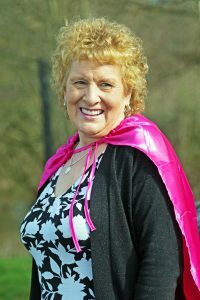 Patricia Chipping, who was Sponsorship Superstar in the 2016 event, having singlehandedly raised £2,100 when she completed the walk with her 22-year-old granddaughter Emily, has already signed up for this year’s event. “Both my best friend Barbara and her husband Colin received their care, and my husband Roy also passed away in the hospice. He had suffered from Alzheimer’s for 10 years before being diagnosed with lung cancer,” she says. To find out more or to sign up for your early bird £10 Midnight Walk place (discount available until 3 April, places £15 after that date) please visit www.wsb-midnightwalk.co.uk. If you would like to support the new build appeal you can also donate online through www.wsbhospices.co.uk/newbuild.